Is this black or silver please? This item is more likely grey, with some blueish tone it all depends on the level of light. Can this replace a FC-4503 triple? I have a Tiagra FC-4503 triple chainset with a 9 speed hub. It is on it's last legs, can I replace it with this? 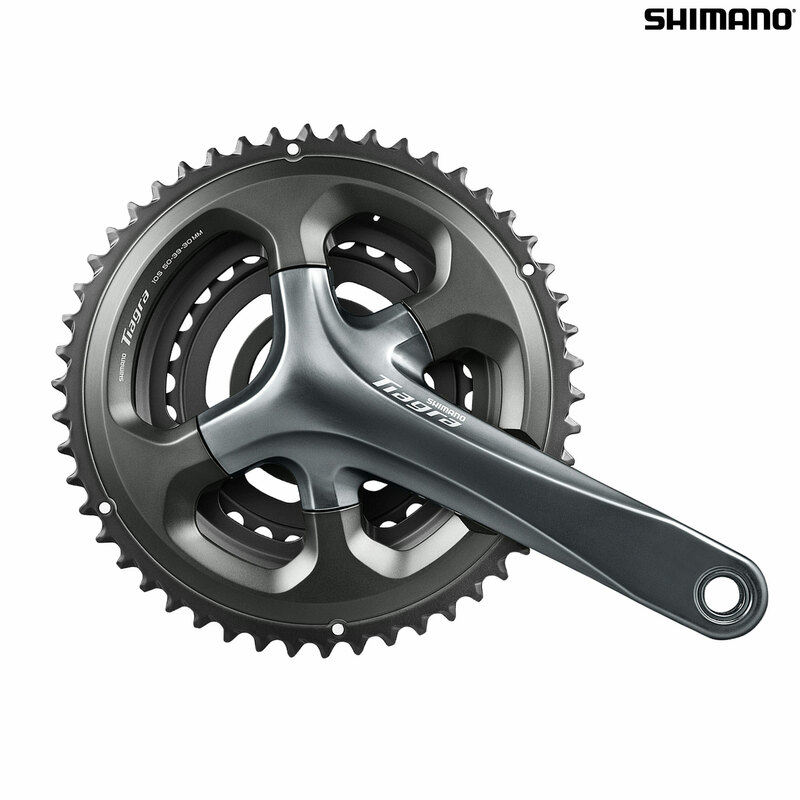 No as this is only suitable for 10 speed, you would need a 9 speed only chainset. Does this come with the BB ? A BB is not included.